An ideal follow on from the Adobe Illustrator Training Course; this CAD for Fashion & Textile Design Course in Derby offers the opportunity to develop skills further and apply techniques in Adobe Illustrator tailored towards the fashion industry. This course is targeted towards current fashion practitioners wanting to build on their basic Adobe Illustrator skills as well as Fashion & Textile Design graduates and new professionals who need to stand out from their peers and ensure their portfolio is industry ready when applying for new jobs. 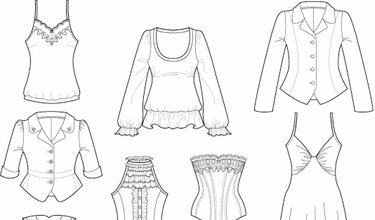 CAD in Adobe Illustrator is an essential skill for all successful Fashion & Textile Designers, a key skill required by many employers and is fast becoming a mandatory part of any Fashion & Textile Designers CV. On this CAD for Fashion & Textile Design course you will learn industry standard tricks and techniques in Adobe Illustrator that will not only improve the quality of your work, but also increase efficiency and workflow. We will cover drawing techniques, helpful shortcuts, creating your own custom brushes in Adobe Illustrator and more. 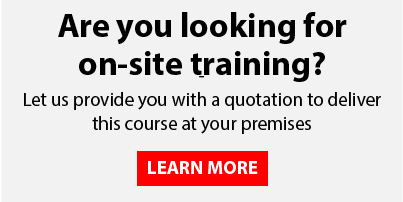 This course is also available on-site at your offices, please fill in our on-site training request form for a quotation HERE. Also included in the course; a reading list provided to suggest further reading which also includes links to helpful online resources. It is recommended that you have used Adobe Illustrator before the short course begins; basic knowledge of the software such as navigating the workspace and working with the pen tool is preferred to ensure you get the most out of the session however it is not essential to be confident in these areas. If you are unsure if the course is suitable please don’t hesitate to contact us. Where is the Fashion & Textile Design training course held? Our CAD for Fashion & Textile Design training course is held in Derby, 2 miles from Derby train station and 10 minutes drive from junction 25 of the M1. Derby is in the East Midlands just 15 miles from Nottingham, 40 minutes from Leicester and 50 minutes from Birmingham, there is FREE allocated parking for everybody who attends our course, please see our COURSE VENUE page for more information and directions. You are not required to bring anything with you for our CAD for Fashion & Textile Design using Adobe Illustrator Training Course all files and exercise materials will be provided, although if there is a specific reason you are seeking further Fashion & Textile Design based tuition in Adobe Illustrator please feel free to bring anything relevant with you that you would like to implement your new found skills on. “I’m currently studying Fashion & Textile Design at university and had a sound understanding of both Adobe Illustrator and Photoshop. However, my work was fairly standard and I wasn’t exactly sure where to progress. During the time I spent with Erica, I found this was no longer an issue. I saw a huge improvement in my CAD work in Adobe Illustrator through her tutoring, where she was able to give me guidance on both programs. She gave me tips on different tools within the programs and advice on how to improve aspects of my work. “Erica is a great teacher. She provided step by step instructions and got me producing great results very quickly. I had completed numerous online and video tutorials for Adobe Illustrator but despite that I found it very frustrating and difficult to use. Erica made the software seem much more user friendly and picked up on details that I would have overlooked. She taught me good working practices to maximise efficiency and good standards.